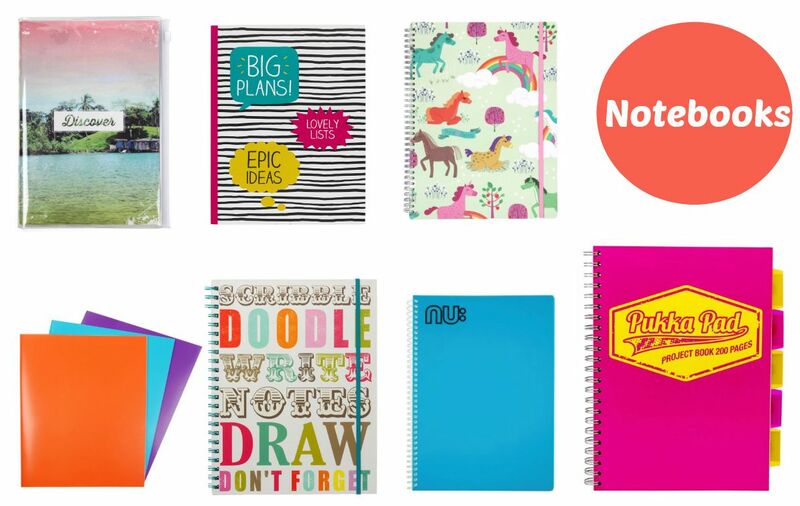 Student Essentials – Stationery Wishlist! Hello everyone – I’m back after my summer break!! I hope you’ve all had a great summer holiday. It’s now over halfway through August, which means in just a few short weeks, lots of you will be embarking on your first year of university! And for others, it will be back to work after a summer break, getting back into the routine of lectures and tutorials. One of my favourite things to do before term started back, was go shopping for cute new stationery – I could happily spend an entire afternoon in Paperchase alone! 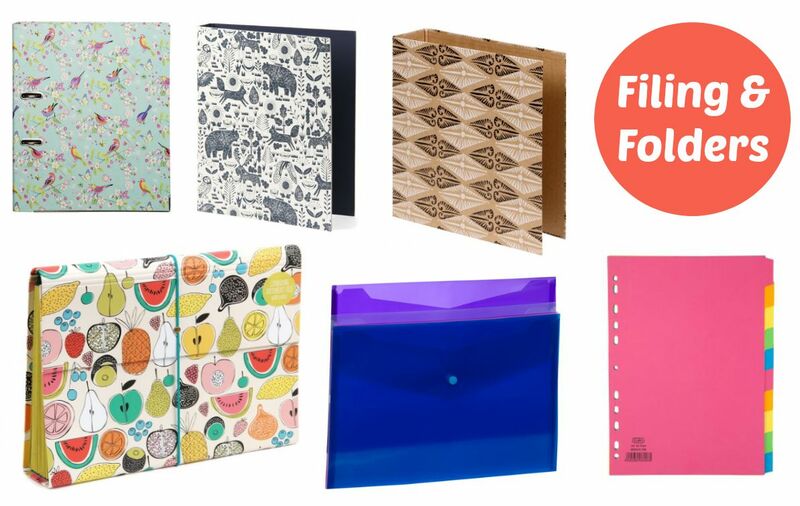 So, with that in mind, I thought that I’d put together a little “back to school” style stationery Wishlist, showing you some of the bits and pieces I really love, and would definitely have had my eye on for the new term! I tried to keep it mixed (I’m all about the cute wildlife prints, but that isn’t for everyone! ), so hope there’s something in here for all of you! 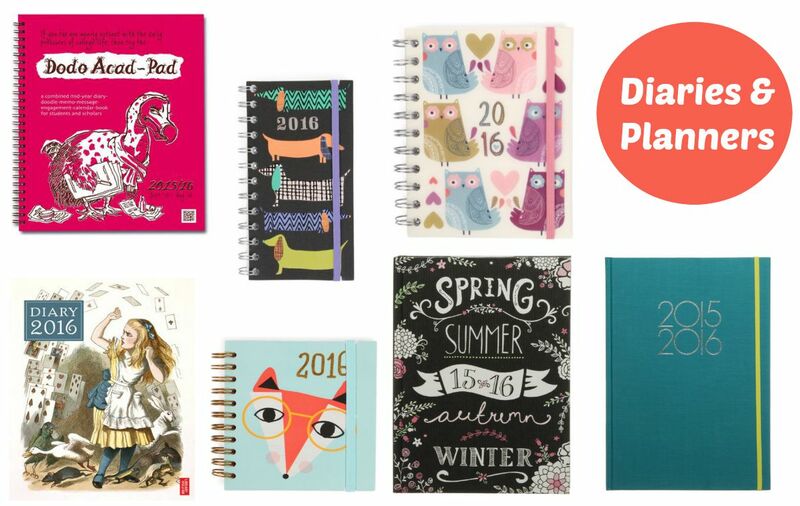 Ahhh stationery, how I love thee. Let me know in the comments below what your favourite pieces in this little wishlist are, and also tell me what stage of uni you’re heading off to this year – regardless of if it is first year or your final year, I’m wishing you all the luck in the world! Today I thought I’d just do a quick update to let you know my plans for the summer months! Up until a couple of weeks ago I had been posting on here twice a week, and uploading one video a week. 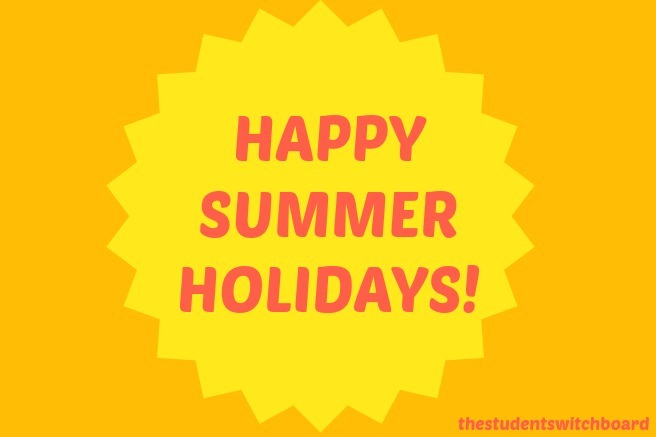 However, with the school and university summer holidays about to commence, I figured that the months of June and July probably are not the best time to be publishing my student advice content! 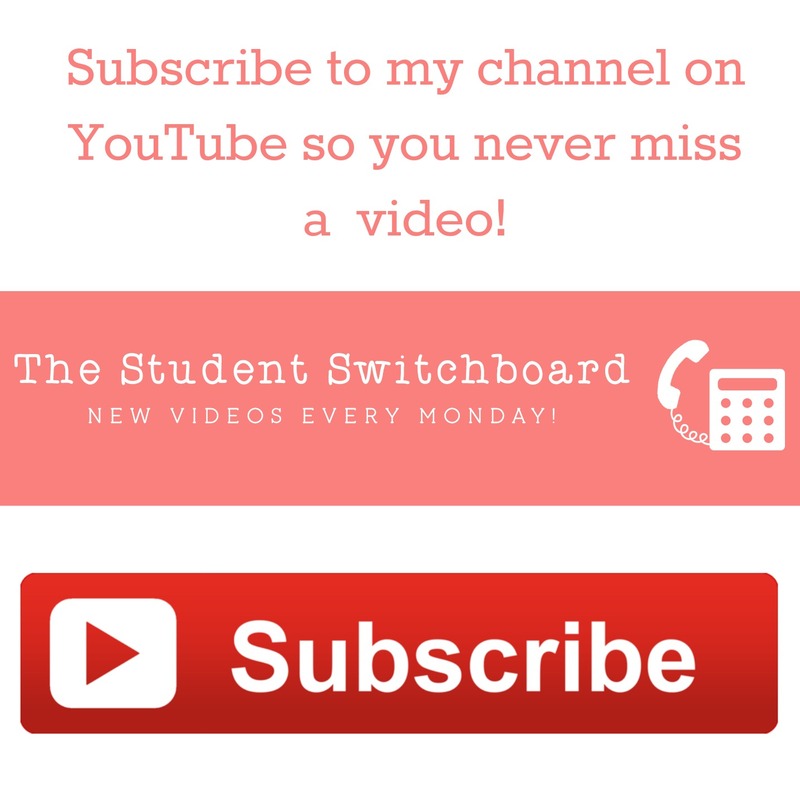 I have so many posts and videos planned that relate to things you’ll be dealing with during actual term time, and I don’t want to waste those posts by putting them up at a time you won’t be in need of them! So, The Student Switchboard is making like a university and taking a break for the summer! I’ll be back here in August posting weekly advice, and uploading new videos each Monday. The scary thing is, I know that will be here before I know it. Suddenly the new school term will be upon us – so make the most of your summer! Whether it’s a break from your hectic uni schedule, or time to prepare to start this new chapter of your life after finishing high school, enjoy a couple of months of no essays, no class time and just recharge the batteries! Thanks so much for following along with my posts so far, and I can’t wait to bring you lots of new content and (hopefully!) useful advice come August and September! So You Want To Study… Film and Television! Hello all! This week’s “So You Want To Study” post, in fact, comes from yours truly. I spent four glorious years studying Film and Television Studies at the University of Glasgow, and I had an absolute ball. So today I thought I’d tell you all about it, in case you are considering taking the leap and studying it yourself! I like to think the incredible television show 24 is responsible for my decision to study Film and TV. Sure, I’d loved films and television all my life, but it wasn’t until I watched that first series, seeing Kiefer Sutherland as Jack Bauer for the first time, experiencing the revolutionary style of the show, and becoming consumed not only by the storyline, but by the entire process of the show, that I realised I was more than just your regular TV fan. I was fascinated, watching the behind the scenes features on the DVDs time and time again, reading interviews with the producers and writers online, and writing my own little reviews (which the world never saw – I didn’t have a blog back then!). I just thought it was incredible, and I remember thinking – I could keep watching and talking about this forever, and never run out of things to say. The first thing I’ll say about making the decision to study film and TV, is that you have to figure out whether or not you are interested in the technical side of things. This will decide which sort of course you should apply for, and will therefore affect which university you attend. I, however, wanted to write about films and television, learn about the history of these two mediums we take so much for granted nowadays, and explore the ways in which they interact with and influence our society. I wanted to study different genres, and talk about different writers. Basically, I wanted to do an English Literature degree, but studying the big and small screens instead of books. So if you decide that sounds like the kind of course for you, keep reading! It was one of the best experiences of my life, and while I might have gone on to study a Masters in something different, I wouldn’t change those four years for the world. One thing to expect from a film and television studies course is that, despite the fact it is a widely respected subject now, you will still meet the odd person who, when you tell them what you’re studying, will say: “Is that even a thing? !”, or “Yeah, because sitting watching films all day counts as studying.” Ignore them. Films and television shows have a huge impact on our society, from the traditional notion of “Water Cooler” conversation pieces, to the way news is reported (which is particularly interesting in terms of politics at the moment). Today, social media allows us to share in global television experiences, and even things like the certification process of movies is inextricably tied to our ideas of what is age appropriate – something which, I can tell you, has changed a lot over the years. The types of films and shows made in different countries can tell us so much about different cultures, and don’t even get me started on the gender and sexuality implications of what we see on screen (trust me, the Gender and Sexuality module, which was part of my second year course, was one of my favourites – we could be here all day!). 1) … you don’t like the idea of the way you view films and TV changing. It sounds obvious, but once you study something, it becomes very difficult to view it in the way you did before. Once you’ve broken down film conventions, TV trends, audience engagement, and all of the other things you will look into over the three or four years of your studies, it inevitably changes your relationship with it. I’ve had people say to me countless time “But surely you can’t enjoy it if you’re analysing it all the time? Can’t you just sit and watch a film?” The answer to that is, I don’t know. In some ways, I don’t think I can just watch a film any more, but truthfully, I wouldn’t change that. I LOVE talking about and analysing television (if you’ve seen my original YouTube channel, you’ll be only too aware of this fact!). I still get completely caught up in the story of whatever I’m watching, but I do always notice the writing and the camera work, and I always question why certain decisions were made behind the camera. And nine times out of ten, I will go online afterwards and start reading up more about whatever I’ve just watched. 2) … you don’t like watching subtitled films. This is one I’ve heard a lot – people saying they “just can’t concentrate on watching the film and reading the subtitles at the same time”. If you choose to study film and television, you will be viewing subtitles on a very regular basis, sometimes doing entire units worth of foreign cinema. 3) This leads me on to point three – don’t study film and television studies if you only like Hollywood blockbuster movies. They will make up a very small portion of what you watch over the years. You will watch a lot of incredible indie movies, as well as some very strange, often very disturbing films. Eventually you will become somewhat immune to these, but prepare to be slightly mentally scarred to begin with. Ever heard of Jean-Luc Godard’s “Weekend”? Yeah. That was an experience. 4) … if you think it’s going to be easy. I once did an entire module on Children’s Television and spent five hours at a time watching and analysing In the Night Garden and Lazy Town – in theory, that sounds like a breeze, but (aside from the fact that after an hour of Lazy Town you’re already close to losing your marbles), the critical theories involved are far more complex than you might imagine. There are a lot of essays, even more reading, and, quite possibly because there are still some people out there who question the subject, your lecturers will be sure to really challenge you, so you have to be prepared to really put in the work. It so worth it though!! In first year, we studied two large modules titled “Reading the Screen: Cinema”, and “Reading the Screen: Television”. In second year, our modules were titled “History, Aesthetics and Genre”, and “Spectatorship, Audiences and Identities”. Then, in our Honours years (3rd and 4th year), we were free to select individual modules from a long list. I chose: Film Analysis, Television Analysis, Contemporary Television Drama, Media and Cultural Policy, Asian Cinema, Screen Audiences, Screen Performance, Animation, Scotland: Film and Television, Children’s Television and, my compulsory Dissertation. My dissertation was 12,500 words long, and examined the representation of familial relationships in teen television. I studied Veronica Mars and Gossip Girl, examining the trend of complicated parent/child relationships on television aimed at a young audience. I can say, hand on heart, I loved researching and writing my dissertation, and it makes me sad that I don’t hear more people say that. I should also mention at this point that on my particular course, by third year there were a couple of more practical modules to choose, which involved some behind the camera work for the more practical-work-orientated students! The best things about it? One of my favourite things about my course was the passion everyone felt for what they were studying. In my experience, film and television students are an incredibly passionate bunch. Yes, you will meet a few pretentious people along the way – but I’m willing to bet that’s the case with every creative subject. The love we all had for films and television led to fascinating conversations, lively debates, and some brilliant essays. Secondly, I got to write about such a wide variety of film and televisual texts, and discovered films and genres I would never have found, or given a chance otherwise. But most importantly, it completely widened my horizons, gave me much more cultural awareness (not only of our own media and culture, but of cultures at an international level), and taught me so much about how interconnected our society is with what we’re watching on screen. It also opened my eyes more than ever to issues of gender inequality and feminism, thanks to some of my absolutely incredible lecturers. 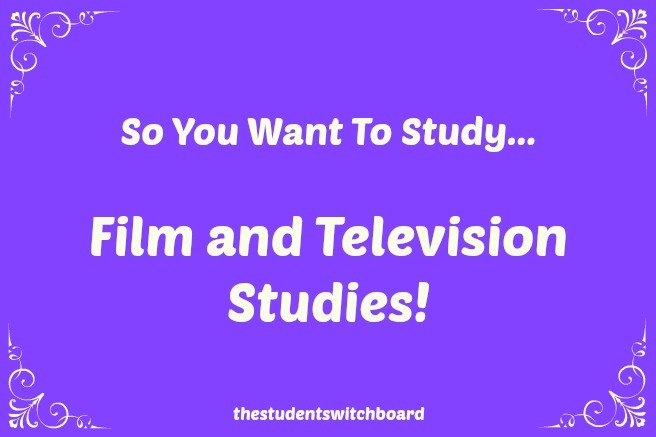 So, to any of you out there considering studying Film and Television Studies, I hope this post was helpful! Let me know in the comments if you are on a similar course at the moment, or if you’re heading off to study it after the summer! My Favourite Posts This Week! Hello all! As I write this post, it’s a horrible, grey, rainy day outside, and I’ve seen lots of people on Twitter talking about having a bit of a down day. So this afternoon, I decided to do a little round up of some of my favourite student/career/motivation related posts from the past couple of weeks – a little shout out to some great bloggers, celebrating great posts and generally giving us all that warm fuzzy feeling we get when we embrace this lovely blogging community. Today is National Teacher Day, and the lovely Dee from Prompts By Dee put together this great “It’s National Teachers Day, So Behave” post! It’s an interview with four bloggers, who also happen to be teachers, and was a really lovely insight into why they decided to go down that career path! Emma from A Little Freckle posted these great exam revision tips, a must see for any of you who are cramming for your final assessments at the moment! I loved reading Charlotte’s review of How To Be A Knowledge Ninja (the brilliant book she won in my recent YouTube and Twitter giveaway!) over on Colours and Carousels. I was so delighted to hear she enjoyed it, and it’s definitely a book to check out if you’re looking to increase your productivity! Moving out and looking for your first flat/apartment? Head on over to Indigo Platform and check out Abby’s Apartment Hunting Tips! There are some really important things to keep in mind on here. 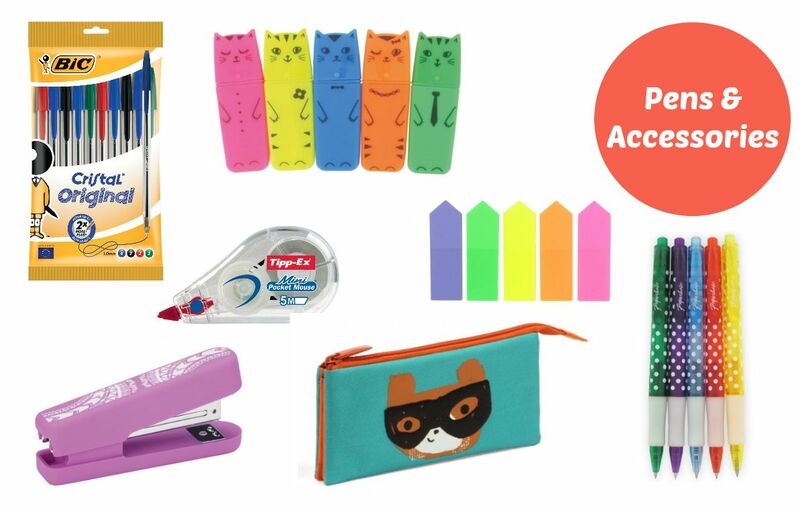 We all know I’m a sucker for a bit of pretty stationery, so Emma’s recent stationery wishlist on Essays and Wine was right up my street – would you look at those cute patterned pens?!! And finally, I really enjoyed Rebecca’s post on Autumn Leaves on 5 useful tools to help you stay motivated. It’s easy for us to sometimes lose focus, and find ourselves lacking motivation, and I love hearing how other people conquer this! So that’s it for today! I hope you enjoy these posts as much as I did, and that you’re having a great week :) good luck if you have any exams coming up, I hope you’re managing to get through it without too much stress! 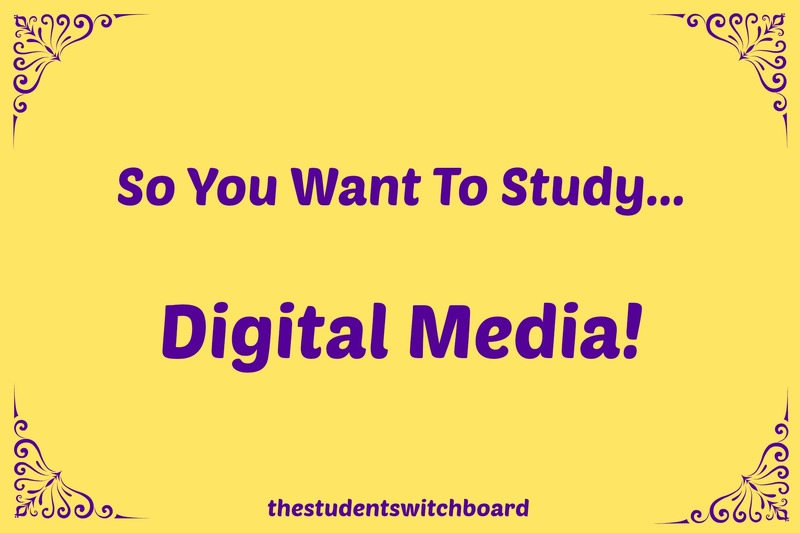 So You Want To Study: Digital Media! It’s that time of week again! Friday’s are all about sharing our experiences of studying different courses, and I’m loving posting these fantastic guest posts from students or graduates. 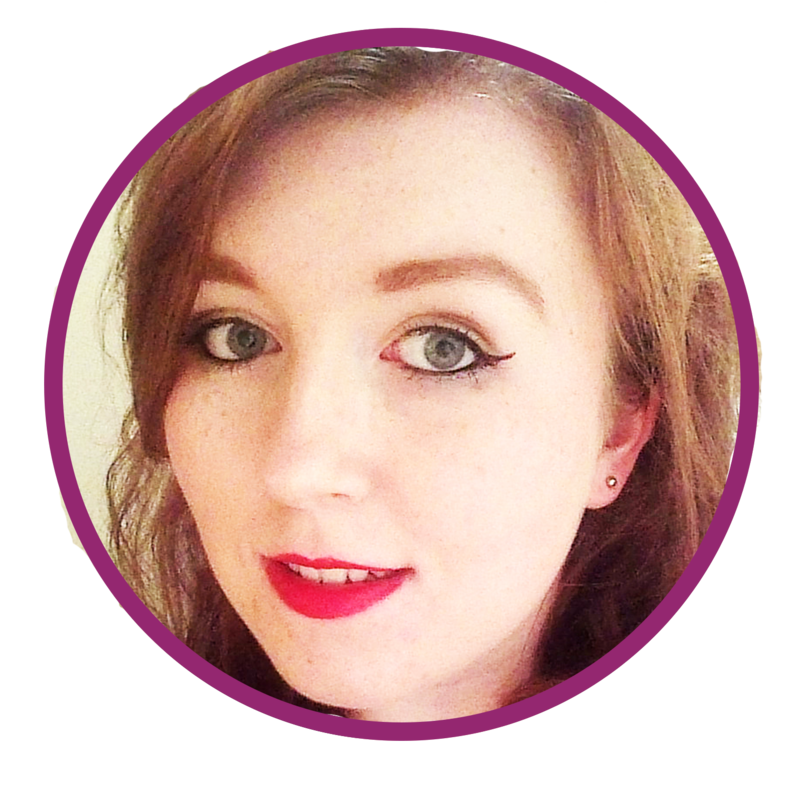 This week’s post comes from Jilly, the lovely blogger behind My Name Is Jilly, who is studying Digital Media. If you like the sound of that, keep reading, and you might find that this is exactly the course for you! When you make the decision to study, either at College or University, it doesn’t always mean that you know exactly what you want to do with your life. After leaving school at the end of 5th year, I managed to get into University a year early to study a Bachelor of Arts degree in Digital Media. I’ve always been into media, whether it be watching the news or writing my blog, so I took a risk and decided to make it my career objective and to study it at University. I wanted to study Digital Media because I had always had bad experiences with journalists. Having a family member who regularly featured in the news gave me exposure to the harsh reality of cut throat journalism. I wanted to aspire to become a better journalist than those I had encountered. I love to write, one of the main reasons I started my blog, and so I decided to go for it! My course consists of Film Studies, Writing for the Media, Radio and also some design aspects. If you’re looking for a course which can give you a few career paths, then I would definitely recommend Digital Media at the University of Stirling. The most surprising thing about my course was how much freedom we had, being able to choose what we could write about and the medium in which we presented information, in documentaries, radio shows and magazines. At school you are very much restricted in how you do things and I love how University allows you to choose what you’re best at and go with it. The reality of Digital Media is that if you hate writing, it’s not the course for you. Even if you want to make documentaries or radio shows, the workload of writing is intense. Last semester I had over 14 essays due, totally around 10,000 words written which is a lot! Even when making documentaries, you must fill out risk assessments, schedules and treatments, making it just as heavy writing wise as making a magazine. In our course, we don’t have exams in first or second year. Instead, we do a graded unit which sees us making a documentary, magazine, film or online content. Although this means you don’t have the pressure of exams, the workload means that you have strict deadlines which cannot be changed, meaning that organisation is key to pass the course. All of this aside, I would’t change my course for the world as I feel like I’ve already learned so much in the such a short space of time. If you have any more questions which I haven’t covered please feel free to contact me! Thanks so much to Jilly for writing this post – I have to admit, I’m now seriously intrigued by her course, it sounds as if it would have been right up my street! Why can’t I just stay at uni forever and go and study course after course?! Hope you’re all having a lovely day, and if you have exams this week I wish you lots of luck! While uni is brilliant fun, and a time to make new friends, go on fun nights out and (hopefully) learn a thing or two, it’s no secret that studying at university is a lot of work. 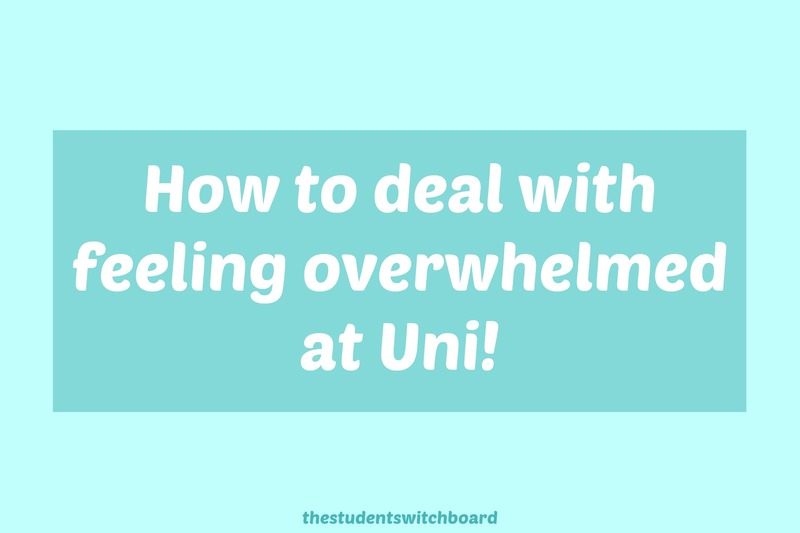 Whatever course you’re on, and whatever stage you’re at, sometimes things can just get a little bit overwhelming, and the stress of course work and exams, sometimes combined with things like juggling a part time job with your studies, or feeling homesick, can all become a bit too much. So, if you’re feeling a bit anxious and overwhelmed, it’s important to find a way to destress! Here are a few things I found useful over my time at uni, to take my mind off things during the most hectic times of year! Never underestimate the power of going for a short walk. If you’re feeling worked up and stressed, putting the books to one side, picking up your iPod (or whatever you listen to music on! ), and going for a walk around the block can really help to calm you down. Exercise releases endorphins, hormones which can have a calming effect on the body and mind. These hormones are shown to improve self-esteem and combat stress, so taking time out for a twenty minute walk not only is good for your physical health, but can have a great effect on how you feel mentally too! Listening to your favourite music can have an absolutely incredible impact on how you are feeling. For me, it’s one of the things that can have the biggest effect if I’m feeling anxious – listening to mood lifting songs (for me, it’s usually a bit of cheesy pop music, but go with whatever works for you!) can make me feel so much better. Concentrating on positive lyrics, or upbeat melodies can distract you from the anxious feelings you’re having, which leaves you feeling more relaxed when you eventually get back to work. If you had told me a couple of years ago I would find meditation so beneficial, I would probably have laughed at you. I had a complete misconception of what basic meditation involves, and I’m so glad I bit the bullet one particularly anxious day and downloaded the HeadSpace app. There are lots of meditation apps out there, so go and have a look for the one that sounds like it will work best for you (try a couple if they’re free downloads! ), and give it a try! HeadSpace encourages you to take ten minutes each day just to sit, focus on your breathing, allow thoughts to come and go, and really increase your focus on the present moment. It sounds a bit out there, and it certainly won’t work for everyone, but I know that for me, and a few of my friends, it really does! I think a lot of our stresses in life come from concentrating on the future (what if this happens, what if this never happens, what if things don’t work out the way I expected…), which we can’t control, so learning to focus more on the present is important! As a self-confessed television addict, this is one that works an absolute treat for me every single time. Spending time with your favourite characters can be a brilliant distraction, and especially if it’s a show you’ve seen before and know well, you don’t have to concentrate too much on what’s going on. You can just get caught up in the storyline and get a bit lost in another world – one where whatever it is that has stressed you out doesn’t exist! Then, by the time the episode has finished, you’ve calmed down, and are feeling refreshed and ready to get back to it. Obviously this is a short term solution, but one that I totally recommend. Sometimes, when things have got on top of you, there’s nothing else for it but to head to bed and sleep it off. When you have a lot of work to do, it can be tempting to try to just power through, no matter how you’re feeling, but that usually just results in feeling worse! And, let’s face it, you can’t do your best work when you’re feeling overwhelmed! So sometimes the best thing to do is to head to bed, watch a couple of episodes of something on Netflix, or read a couple of chapters of a good book, and go to sleep. Tomorrow is another day, and you might just find that a good night’s sleep has you waking up with a much clearer head and a more positive perspective! What are your top tips for dealing with an overwhelming day? So You Want To Study: Interior Design! Hi everyone! It’s another Friday, which means it’s time for another “So You Want To Study” post! I’m really loving this series – I find reading through these posts when they appear in my inbox so interesting, so I hope you are finding them useful! This week’s post comes from the lovely Abigail from Abigail’s World! Abigail is studying Interior Design, and so I hope this post inspires any of you budding interior designers out there to go after your dream career! So take it away, Abigail! I’m currently a third year interior design student on a four year ‘sandwich’ course – which basically means that in your third year you can do a year long work placement (which is optional), but I really wanted to do it. I’ve always been into art & design from a young age and when I was doing my art and design ‘diploma’ in years 10 and 11, I went to look around some new houses that were being built in my home town with my parents, as we were thinking of moving house. As soon as I stepped into them I was just like ‘WOW’ these look amazing, and from that point I knew that I wanted to be an interior designer. Although it was houses that originally got me into interior design, and I’ve always loved interior accessories for the home (even now I’m still doing homeware wish lists over on my blog), I knew that at university and in work afterwards, to get really into it, it would be commercial interiors that I would be designing. I then went on to college where I studied fine art, textiles, history of art and English for my A-Levels (along with a night course of life drawing) which I ended up taking to university interviews, architecture being one of the subjects I studied in my fine art class. I applied to 5 different universities, some closer to home than others, and after going to 4 out of the 5 interviews, I knew which ones I wanted as my first and second choices – I placed these two, which were the University of Huddersfield as my firm choice, and the Cambridge School of Art within the Anglia Ruskin University as my second choice on my UCAS. After a lot of coursework and exams, and a lot of waiting, I finally found out that I’d got into my first choice of Huddersfield University *yay*! So in September 2012 I moved away from home (just two hours drive away) to Huddersfield after only being away from my family a week at the most before. I’ve met so many people at uni both in halls (who I’ve lived with for up to 3 years now) and through my course, some who I know are friends for life, and that’s part of the reason why I know coming to uni has been one of the best decisions I ever made. I was quite nervous that within the first year I would have to learn so many different computer softwares, but as I got talking to people that were going to be on my course I knew that we were all in the same boat. And when it did come around to our one two hour lesson of the softwares a week I actually really enjoyed it and I have learnt so much – and even more now I am on my work placement as they use most of the same softwares! During the first year, which is pretty laid back compared to the rest, we first started by doing a group project, which really gets you to know the people you’re most likely to stick with for the rest of your time there. At the start of first year, quite a lot of people did drop out of the course because they either couldn’t handle the work load and/or the university life or decided it just wasn’t for them. Personally, in my first year I did projects on designing toilets, a hotel, bar and restaurant and a few other things as well as having an exam on the technical side of the course and creating sample boards. Second year got a lot harder and everyone got a lot more serious with their work. The nights out partying soon got less often for the majority of us! Instead, our nights were mostly spent in the library until the early hours of the morning – which although it sounds quite scary, and at the time I guess it was with the stress we all go through when a deadline is soon approaching, I’m glad I did them as I got to see the outcome of my work, and my final grade of that year which I was really happy with. Along with the stress of the deadlines, most of us also decided we wanted to take a year out to do the sandwich course by doing a placement in an interior design office. After a lot of phone calls, emails and one or two interviews, I finally got a place where I would be designing work places. I have absolutely loved my placement year so far and I have learnt so so much, I would really recommend it. I now have another year left of the course from September which I am incredibly nervous about as I’ve heard how hard and stressful it has been for others, but I am also looking forward to it, and designing something all on my own again. Thanks so much to Abigail for taking the time to write this post! 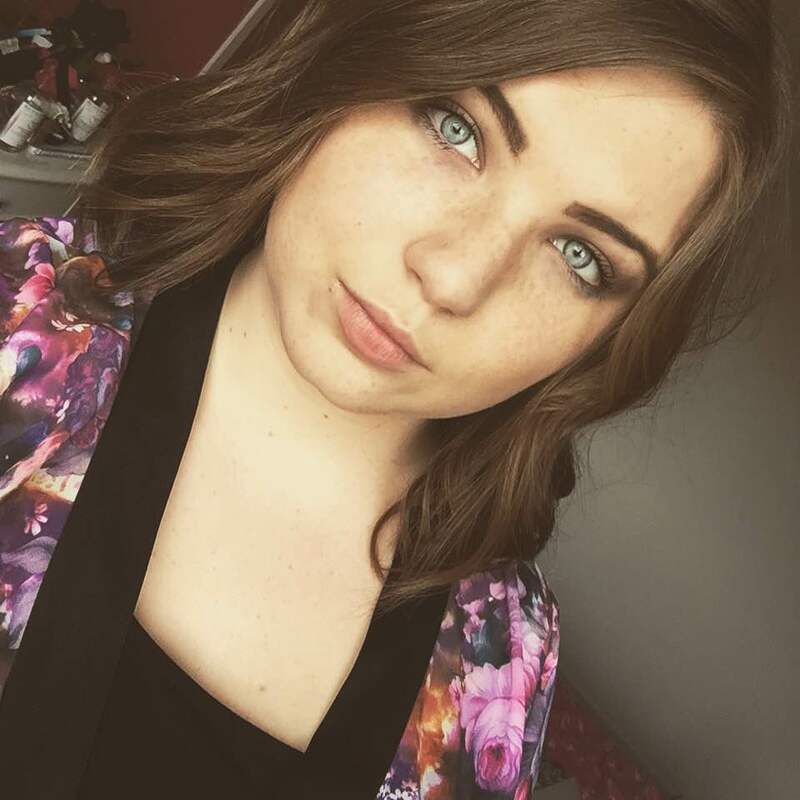 If you’d like to know more, you can tweet her at @AbigailsWorld94, or you can find her blogging away over at Abigail’s World! Have a lovely weekend everyone, and thanks for reading!